1Add all ingredients to a mason jar and stir vigorously to combine. 2Place in the fridge overnight. 3Wake up in the morning and enjoy! 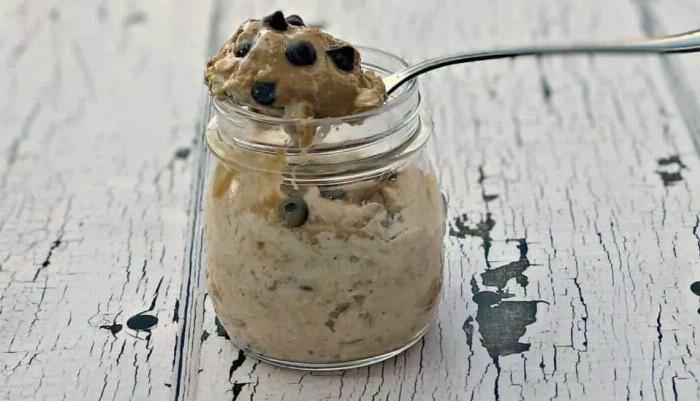 To reduce the calories, carbs and fats in this recipe, use 1/4 cup of quick oats and 1 tbsp of chocolate chips, use just enough milk to create a thick dough.